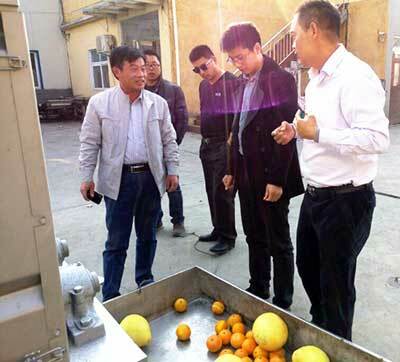 In June, 2016, Taiwan Chiameei Group inspected and accepted our Citrus oil grinding machine. 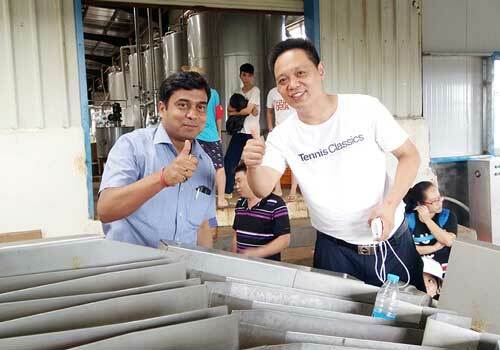 Taiwan Chinameei Group is know as the largest fruit juice manufacturer in Asia. They cooperate with us on the Oil Grinding Machine, which adopts advanced technology from Alfa Laval. It emerge as the first large-scale oil grinding machine in China, with capacity of 8-10 tons per hour. Thanks to the high performance and oil yield rate, TICO oil grinding machine is going to be an ideal equipment for making Citrus oil. TICO is an exporter and service provider which has more than 20 years experience on foreign trade. We specialize in fruit juice processing line and some important machinery with high quality and low price. TICO is committed to optimize the supply chain management of drink machinery industry in China, and we have the complete service of integrating technical expertise, equipment manufacture, design and installation, operation training and other fields. We absorb the latest and highest fruit juice processing line technology from abroad. And our machineries can be customized according to our customers’ requirements. How to choose the juice beverage production line?